Florida DUI insurance is car insurance which meets certain coverage and procedural requirements as prescribed by law. This regulation must be satisfied and maintained for DUI drivers to keep a valid Florida license. Increased limits, reporting compliance and a $15.00 fee are mandatory. These additions to a car insurance policy are similar requirements other high risk drivers experience. Unique to a Florida DUI insurance policy is the high liability limits of 100/300/50; ten times the financial responsibility requirement for drivers with out a DUI. What is a Florida FR44? The FR44 filing (Uniform Financial Responsibility Certificate) is the method used to verify insurance compliance for convicted DUI drivers. The Certificate (Form) is filed (submitted) to the Florida Bureau of Financial Responsibility electronically by the insurance company after policy purchase. This process is the last step in getting back a valid Florida license. 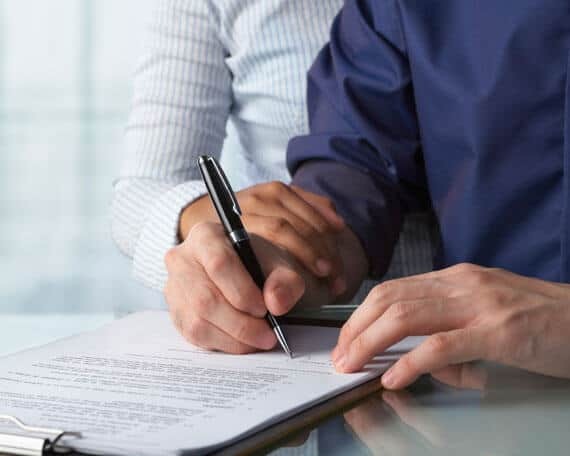 First a policy is purchased from a Florida authorized insurance company which secures the Financial Responsibility case number from the MVR. This is a tracking number assigned to each individual DUI driver. The driver license can be reinstated when the DMV data base is refreshed indicating your compliance and eligibility. Naturally, a reinstatement fee will apply. How long is the Florida FR44 Compliance Period? The compliance period is for three years and insurance companies are required to notify the State if a policy is terminated for any reason. If The DUI driver does not replace coverage with a new eligible policy then their license will be suspended. Reinstatement occurs only after the process is repeated and additional elevated reinstatement fees are paid. The process is fast and easy, but coverage can be costly. Drivers who are not accustomed to carrying high limits experience the greatest increase in car insurance premiums. Select Insurance Group specializes in Florida FR44 insurance and Florida SR22 insurance. We shop several companies to get you the best price for your insurance dollar. Our toll free number is easy to remember: 1-855-GET-SELECT (1-855-438-7353). After examine just a few of the blog posts in your website now, and I really like your approach of blogging. I bookmarked it to my bookmark website list and will be checking back soon. Pls take a look at my website as well and let me know what you think. I’d must test with you here. Which is not one thing I normally do! I get pleasure from studying a post that can make people think. Hi there, simply turned into aware of your blog thru Google, and found that it is really informative. I’m going to watch out for brussels. I will be grateful for those who proceed this in future. Lots of other folks will be benefited out of your writing. Cheers!